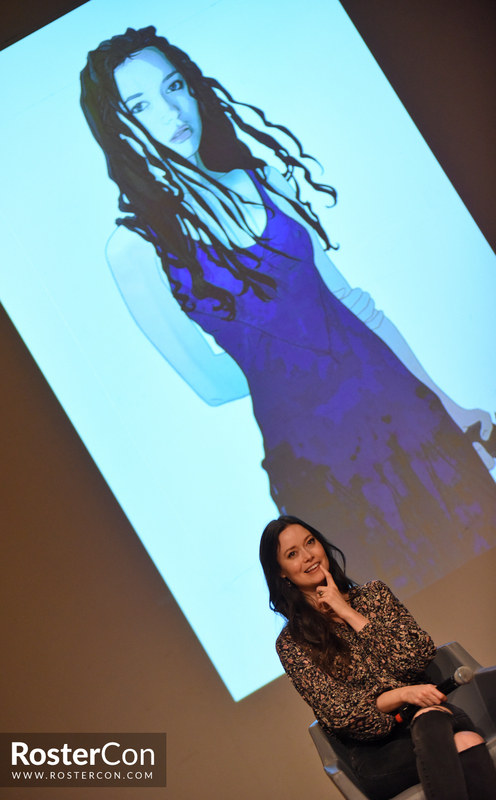 Great news for French fans, Summer is heading your way this October! 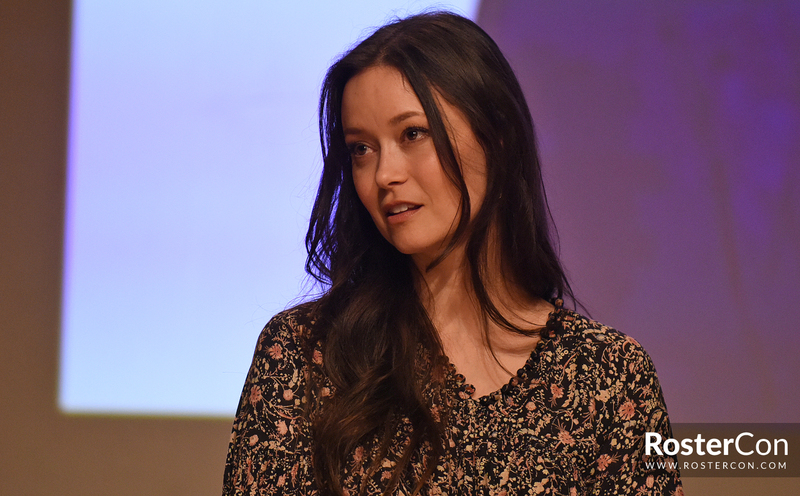 Join her for a weekend of fandom fun at the Comic Con Paris, France on October 26 – 28, 2018 at the Grande Halle de la Villette. She'll be there on Saturday and Sunday for signings, photo ops and a panel! You can find more information about Summer's appearance at Comic Con Paris 2018 in our news. 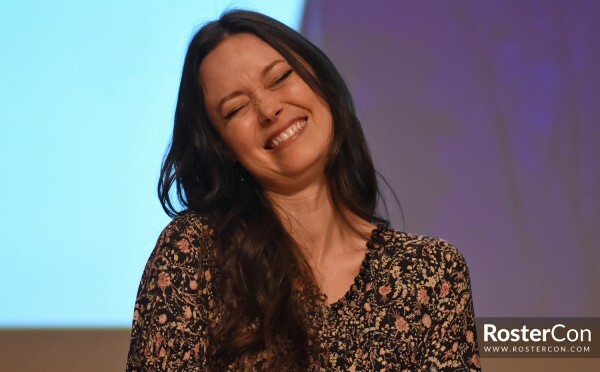 The Comic Con Paris posted a lovely video in which Summer invites fans to join her at the convention. 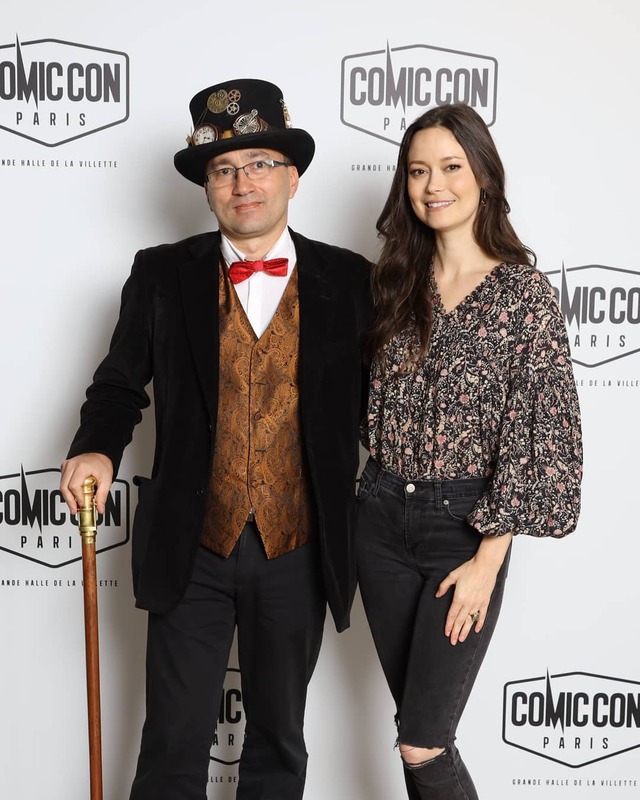 Behind the scenes look at Summer Glau's photo ops session during Comic Con Paris 2018. 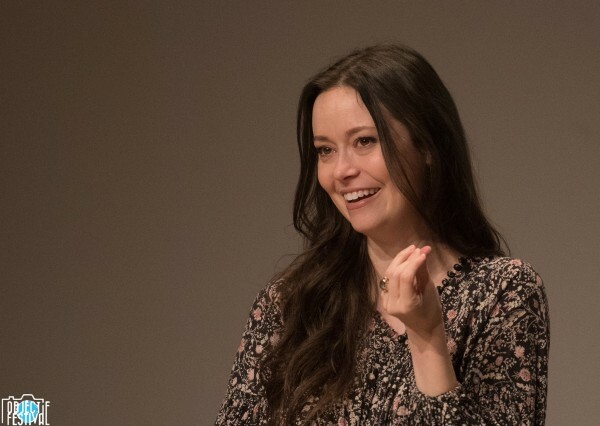 My friend Brice from Objectif Festival shared this lovely photo of Summer taken at her panel. Can't wait to share with you the other photos he sent me! 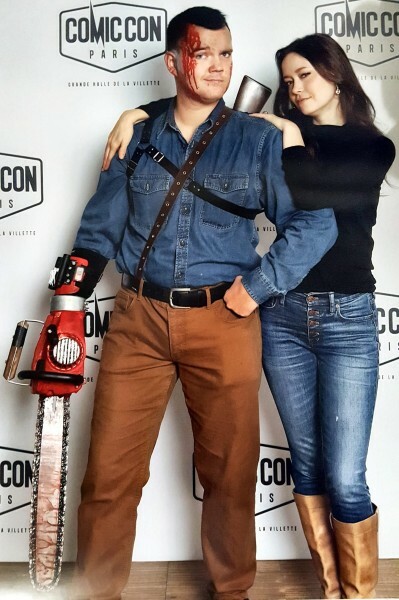 Just in time for Halloween, Ash teams up with Cameron in Ash vs Evil Dead vs Terminator. 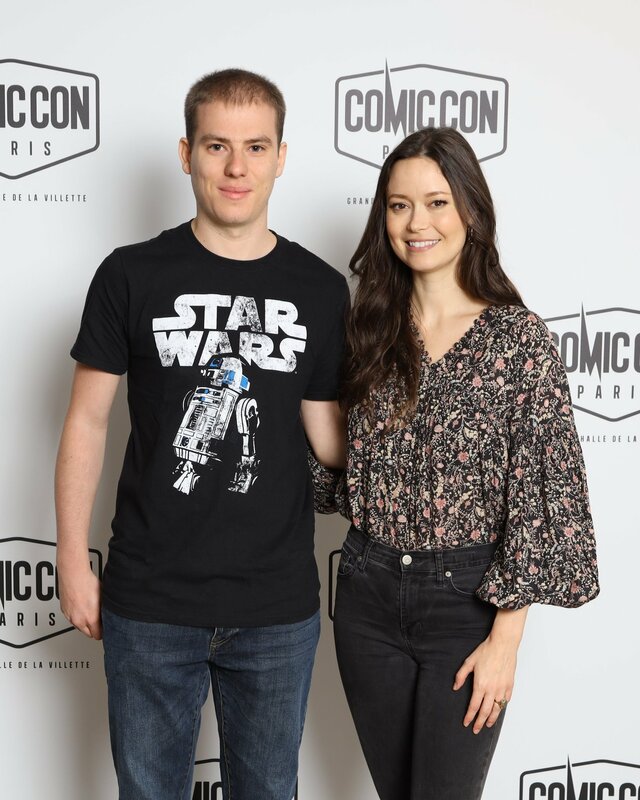 Our friend Jérôme, who provided the clips of Summer's panel at Comic Comic Paris, talks about his meeting with her last WE in his Blog. The article is in French but Google Translate should do the trick. 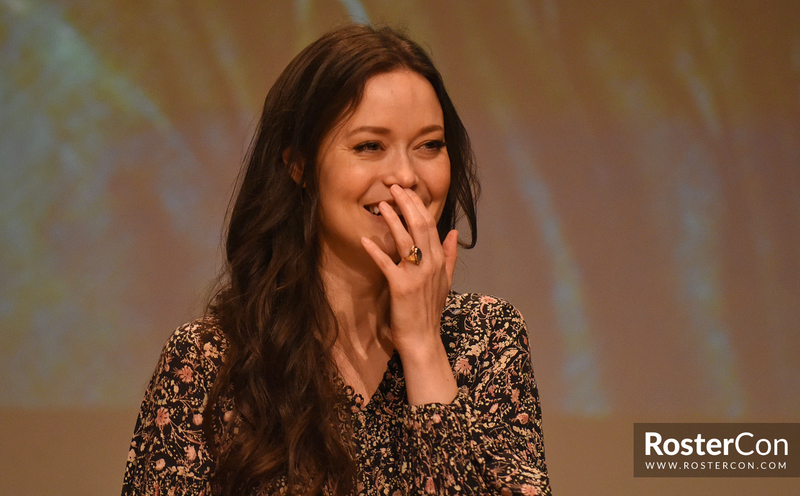 Hearing Summer Glau give an introduction to the Comic Con Paris 2018 recap video of @TheMiniCakeTV - and speaking French in the process - is the most adorable thing you'll hear today! The good guys at Roster Con posted their photos of Summer's panel and kindly allowed us to share them with you. See a couple images below and follow the link to the gallery for the rest.